My mother had played a very important role in my life. I owe my life my success all to her, and like a normal person, I cannot tell her what she means to me. All my words loose out their meaning, because even if they try, not define what motherhood is. Flower, leaves, sentiment and alphabet dies all are from Altenew. I have made another card using the same stampset that i will show you in my next post. I hope you liked what i made. WOW, love your card, beautiful design! Thankyou so much Sandie for being so encouraging always! Utterly beautiful card, love the gorgeous colours you have used. 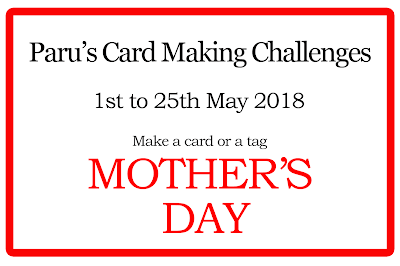 Such a beautiful card and I loved reading your post about mother’s. 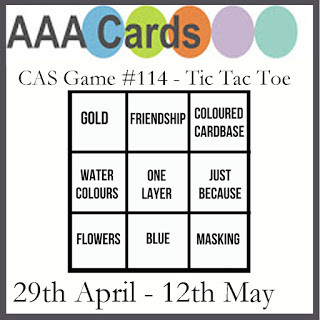 Thanks for joining in with the Tic Tac Toe Challenge at AAA Cards. Thanks alot Jane! Glad you liked it! Great MOM card! 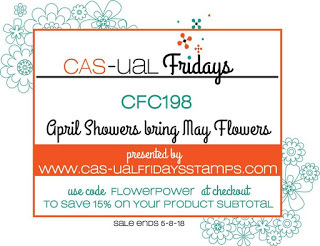 Thank you for joining the CAS-ual Fridays Challenge, April Showers Bring May Flowers. Oh thats a compliment Penny! Thankyou so much! CAS perfection. Beautiful in is simplicity. Thanks for sharing with us at HLS Watercolour Challenge. Thankyou so much Bharati! Happy to know you liked it! What a beauty Neha.. 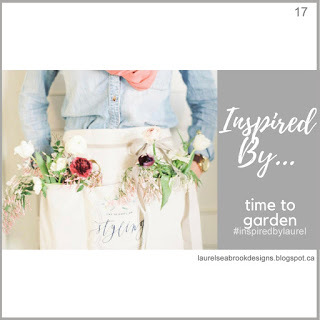 Loved the layout and the floral O.. fabulous. 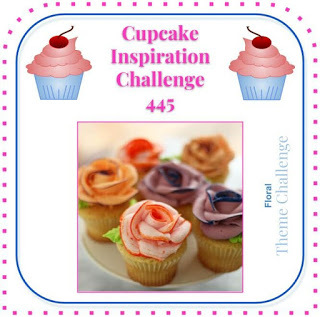 Thank you for joining us at Cupcake Inspirations. Hugs, Ishani. 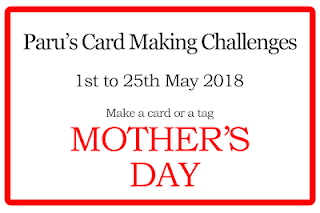 This card is such a beautiful tribute to your mom. 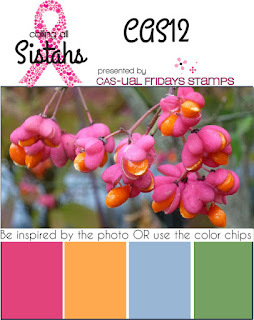 <3 Thanks for playing along with the Calling All Sistahs challenge! I hope you'll join us again with a new one starting on the 18th. Beautiful card! I love the design. 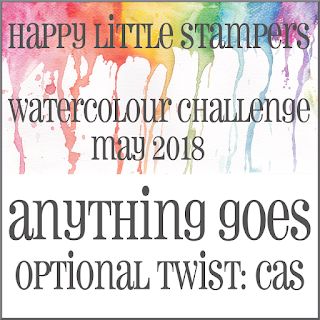 Thank you for sharing your card at Happy Little Stampers Watercolour Challenge.